It is a white cute sturdy pack, and the as usual body spray pack. Here the main thing is the fragrance of this body spray. It is just awesome fragrance. I love it a lot. It controls the sweat very well and the smell staying with me for long time. You need only very few sprays, that is enough, and this spray of deo gives me last longer fragrance. This is not a strong fragrance that won't disturbs others nose. It is mild and pleasant and can be used at any time. Totally I love this body spray very much. This one has mixed flower smell and it is very pleasant. 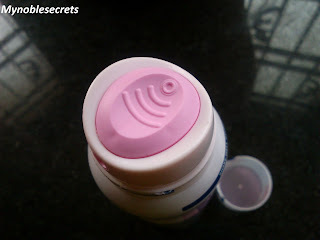 Especially this body spray helps me from kitchen sweat smell and keeps me refreshed always. I am currently loving this body spray and I think I will repurchase it again and again. I use perfumes very rarely. 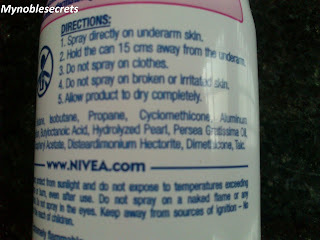 I apply this body spray during hot summer where I use to sweat a lot. 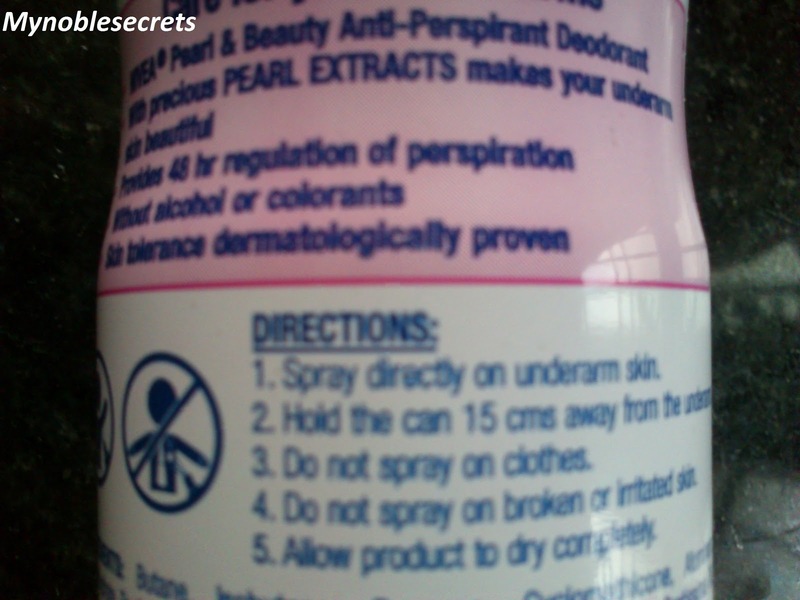 But, this body spray keeps the sweat smell at bay for long time. 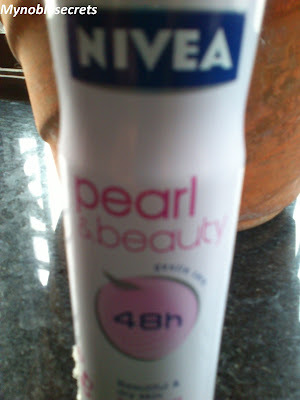 The smell of this Nivea Pearl and Beauty 48h Deodorant is simply awesome. Body sprays are the life savior for me. 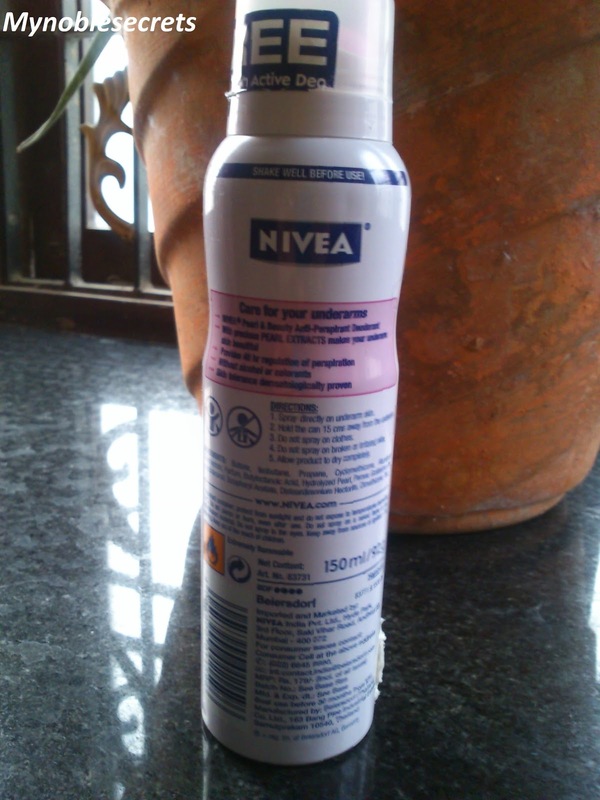 I love Dove, Nivea, Nike, Eva body sprays mostly. At my experience these are all the good brands for body sprays. They all keeps you sweat free with their good fragrances. 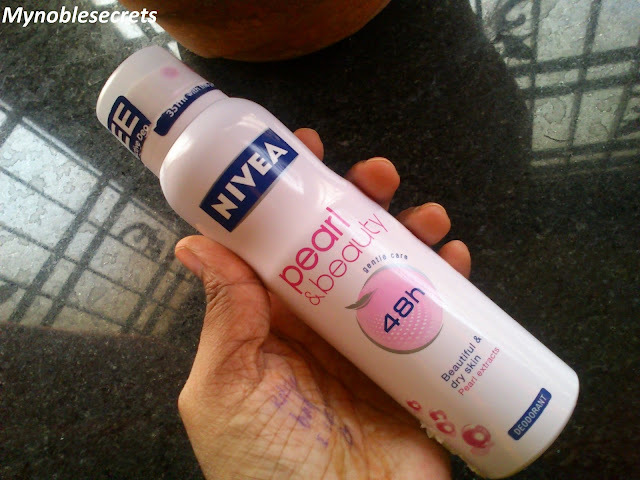 I always prefer alcohol free body sprays, which is very good and safe for skin. 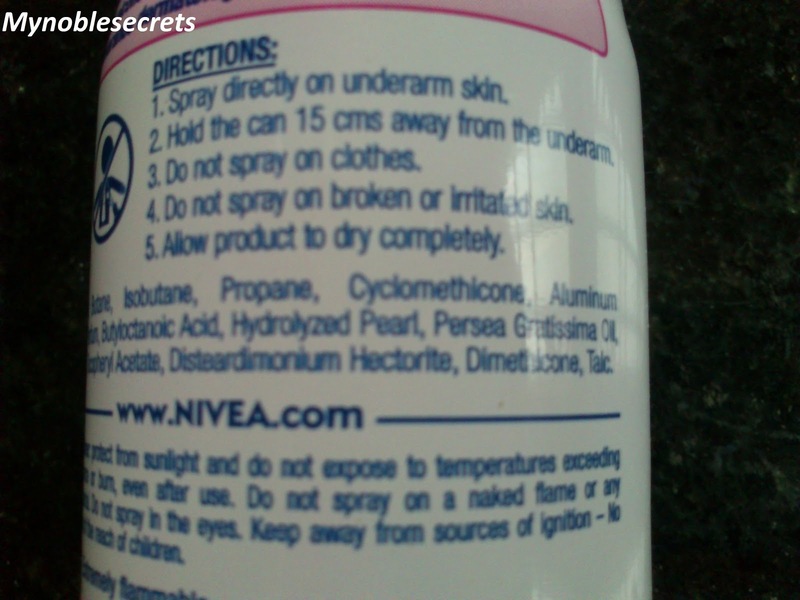 Paraben and alcohol presents in a body spray may cause skin cancer which I recently read in an article. 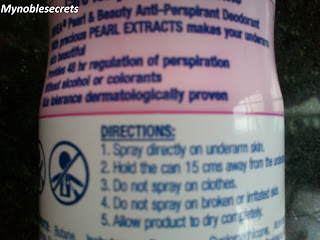 From that day I use to select body sprays very carefully. This body spray has very nice Fragrance. It has pleasant smell can be used at any time. The smell gives you a refreshed feeling. This body spray Controls sweat. There is no dislikes.... I love this Nivea Pearl and Beauty 48h Deodorant a lot. Hey Radha!!! Always choosing my using products to review, how? Am wondering! Thanks for your review, am using this right now. Keep reviewing! Nice review.. i have not used it .. so this review will be very helpful dear!! I haven't tried it. It sounds very good. I've never tried this deodorant before, but looks like it's really a good one. Nice review! Lovely blog, latest follower ! I usually never trust the prodicts that say 48 hrs. This thing keeps me smelling of nothing for a full 24 hours. I cannot explain how much I love this stuff and it looks like it's going to last a looong time.